Nicklasson Athletic Company was founded in 1946 on Henry “Hank” Nicklasson’s passion for quality athletic apparel and superior customer service. That passion helped grow Nicklassons from a local supplier of school athletic supplies to one of Minnesota’s largest sporting goods suppliers. Today, NAC offers a wide variety of supplies and equipment to meet your team, school, organization or corporation's needs. From football equipment to first aid supplies, you can count on our experienced team to recommend the best product at the best price. We also have a full-time engraver on staff to customize your awards from our large selection of trophies, medals and plaques. Our services even extend to custom skate sharpening for both hockey and figure skating as well as custom screen-printing and embroidery. In 2018, we doubled our sales team and expanded our premium sporting goods offerings with the opening of a new state-of-the-art sales office and showroom in Edina. Our Edina showroom features an innovative approach to accommodate custom fittings for sports like hockey, soccer and lacrosse, as well as unique apparel design creations. If you’re not shopping for the whole team, visit our retail store at 1217 North Broadway in New Ulm where we carry a wide variety of brand name athletic and school apparel for men, women and kids. 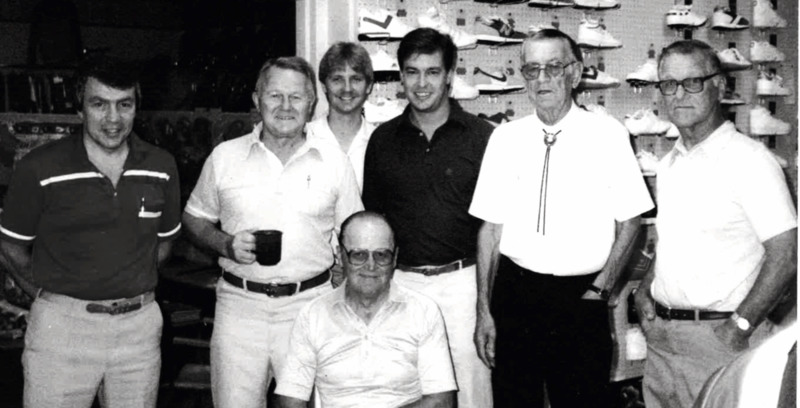 As NAC continues to grow, one thing remains the same – that passion for quality goods and service that Hank instilled in each of his employees continues to live on. We are dedicated to being your partner, recommending the best products at the best price so you can focus on what really matters – your athletes.